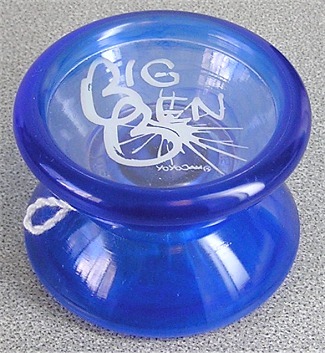 Big Ben was the first attempt by YoYoJam at an oversized model, and a very popular model. Double Yo-Ring response made this one a player as well. You can even see the O-Rings through the clear side cap in the primary view, as well as in the profile view. Pictured here is a deep blue Big Ben from January 2005.